For years, the number of traffic fatalities in the State of Colorado has been on the decline. Unfortunately, that is no longer the case. 2015 saw the first increase in traffic fatalities in years. Preliminary data shows that across the state of Colorado, 10% more people died in car accidents compared to 2014 – that is a 30% increase over the last 5 years. Sadly, many of these deaths were completely preventable. In the state of Colorado about 15% of all drivers, routinely do not wear their seatbelts. About half of the 2015 fatalities involved drivers and passengers who weren’t wearing their seatbelts. This means that at least 60 lives could’ve been saved if everyone were seatbelts. One third of the fatalities were related to drinking and driving. The Colorado Department of transportation is trying to figure out exactly why there was such an increase in traffic fatalities in 2015 Were more distracted drivers on the road? Are people talking on their cell phones more? Are there more drunk drivers on the road? Those are just some of the questions that CDOT is trying to find the answers to. The rise in motor vehicle fatalities in 2015 was part of a disturbing national trend. Across the country, 8.1% more drivers were killed in motor vehicle accidents in 2015. This directly reverses a downward trend that had been seen for years. Last year also saw unprecedented numbers in motorcycle fatalities. In 2015, there were 104 motorcycle deaths throughout the state of Colorado. There has never been a worse year for motorcycle deaths. Were motorcyclists not wearing their helmets? Was the riding season longer last year due to better weather? Are lower gas prices to blame for more motor vehicle traffic and consequently more accidents? For now, the Colorado Department of Transportation does not have enough answers for the increase in accidents across the state. But in 2016, CDOT awarded $3.5 million to nonprofits and law-enforcement agencies across the state to deal with some of these issues and reduce fatal crashes. Larimer County experienced an even greater increase in traffic fatalities in 2015. Reports indicate that motor vehicle fatalities increased 37.5% in 2015 in Larimer County alone. In 2014, only 24 people died in motor vehicle crashes in Larimer County. In 2015, that number jumped to 37. CDOT Executive Director Shailen Bhatt believes that greater education is needed to reduce fatalities on rural Colorado roads were fatality rates are proportionally higher. While CDOT examines why the rate of motor vehicle fatalities increased in Colorado this last year, there are some things you can do to protect yourself on the road. 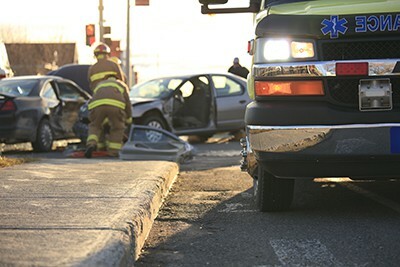 If you or someone you love has been injured in a car accident in Arvada, Northglenn, Broomfield, Westminster, Thornton, or anywhere in Colorado, call our experienced Northglenn wrongful death attorneys as soon as possible. 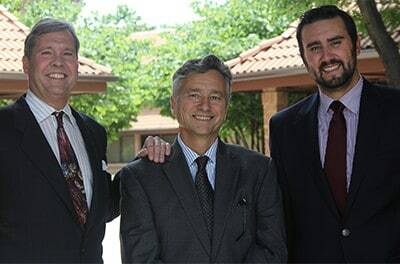 At Hull & Zimmerman, P.C., our car accident attorneys are dedicated to the belief that everyone deserves justice. Contact us at (303) 423-1770 or (866) 385-3505.